A giant poster map, 85 plastic miniatures, five Ogre record cards, a reference sheet, an assembly sheet, a counter sheet, a six-sided die, and a rulebook, in a box. 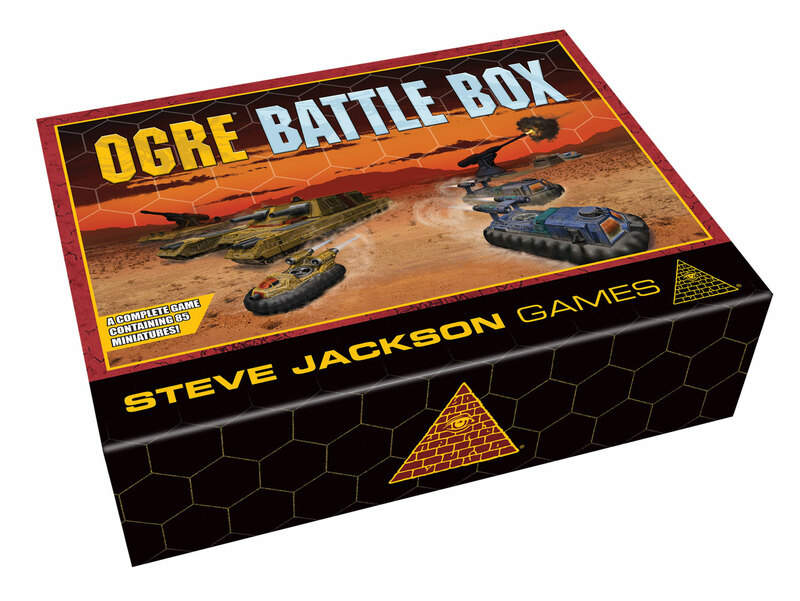 Watch out – more Ogre Miniatures are rumbling onto the battlefield! Try to defeat the Ogres with 11 kinds of combat units, including the dreaded Paneuropean Fencer! 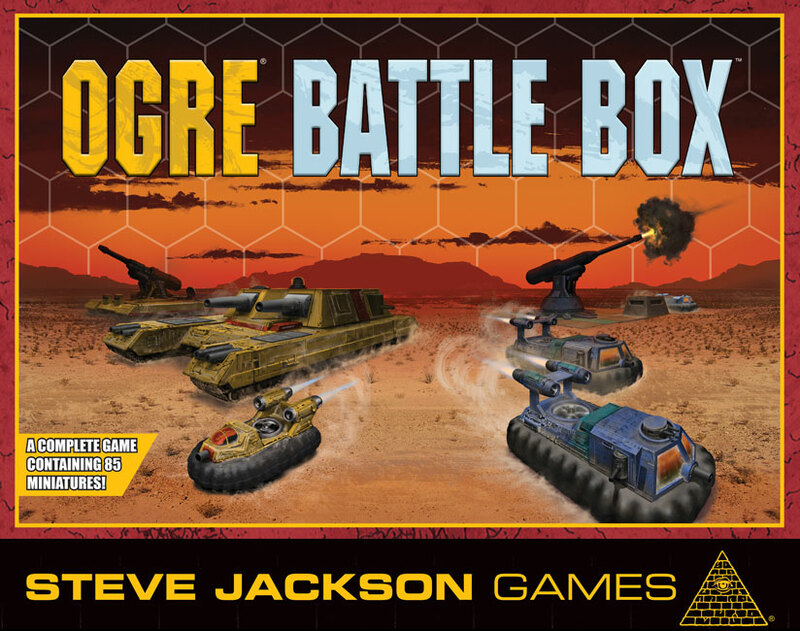 Assemble these unpainted miniatures and dive into exciting futuristic combat with this fully playable game – a huge set of Ogre minis, a giant map, and an updated version of the Ogre Sixth Edition rules! 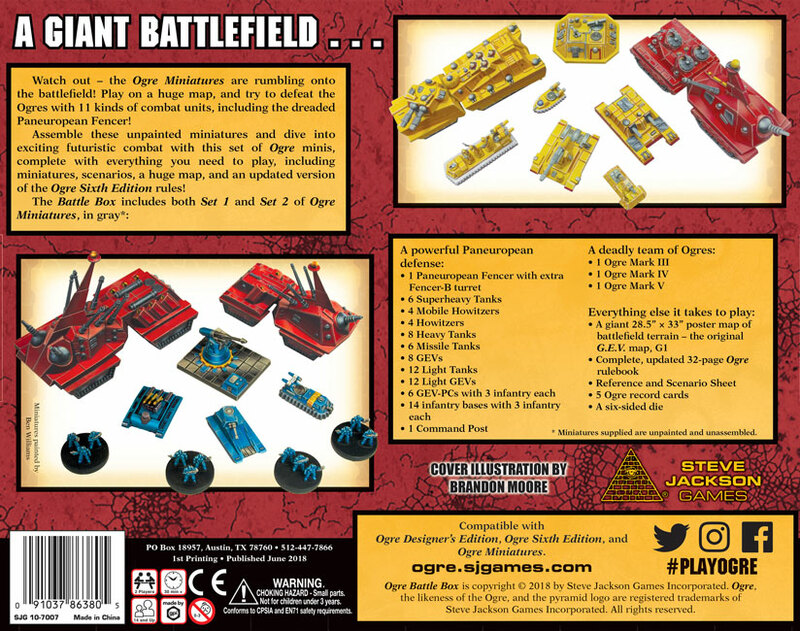 See Ogre Miniatures, Second Edition for a completely updated and revised edition of the original miniature rules.